Buying a boiler is a big investment. And since it plays such a crucial role in keeping your home warm, it’s not one that should be taken lightly. But how exactly do you find cheap boilers? And how do you narrow your options down to the right one for you? Learn about these things with this article. Finding cheap boilers is doable if you know what you want. You have multiple choices for powering your heating system. You’ll need to decide on the boiler type, capacity, brand, and model. As such, you’ll see a wide variety of prices. That is why we’ve gathered the average prices of boilers for you to consider. Also, visit this page for a more detailed look at boiler prices. So how do you locate cheap boilers? By simply requesting for multiple heating quotes from companies in your area. These professional heating engineers will offer many prices that you are able to compare. Identify the cheap boilers that fall within your budget range. Our quote request form is absolutely free, non-binding, and will unlock savings of up to 40%. There are many ways to find cheap boilers so you can make your decision. Here are 5 tips to help you lower your expenses when shopping for your central heating. Decide early on what you want for your home. This depends on the fuel and type of your heating. Do you have a connection to the gas network? Then it’s usually much cheaper to stick with a gas-fired boiler. However, you might want to switch to another fuel, such as oil or electricity, based on your home’s needs. This tends to drive up the price. You’ll also need to consider the heating type. 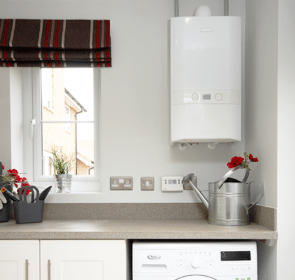 Cheap combi boilers are usually the most economical choice since installation is much simpler than with other types. Conventional and system boilers will need water storage tanks, making total installation higher. The output capacity of your boiler is a major factor in your purchase decision. The larger your home, the higher the output you’ll need. An insufficiently sized boiler means that not all of your radiators will be warm enough, leaving you with cold rooms. 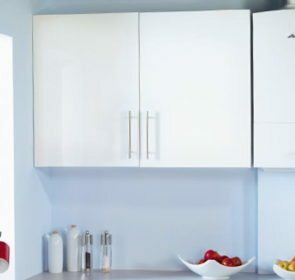 This means you’ll need either a second boiler or an upgrade to a higher capacity one, which is understandably very costly. However, an oversized boiler will cause unnecessary strain on your system, driving up maintenance and repair costs. It also creates too much heat that will just dissipate, leading to significant energy waste. Get the right size to keep costs down. Even though cheap boilers appear to be the most obvious option, their low prices don’t necessarily mean they’re the best choice. For example, one model might be more expensive but has a better energy rating. With this, you’ll use up less fuel in the long-run, saving you money. These long-term savings will offset the high initial costs of the unit and installation. Keep this in mind when selecting the best model for you. Check if you qualify for a free boiler or grant with financial assistance. The government has set goals to reduce the UK’s environmental impact. This involves favouring more modern and efficient boilers. Boiler grants are available for low-income households and those with certain benefits. If you are not eligible for an entire boiler, you could still be able to receive financial assistance, such as a cashback. Your best course of action is to get in touch with the Energy Saving Trust. Don’t just go for the first of many cheap boilers you come across. You need to make a calculated choice since it is crucial for your heating. Take your time and compare prices of as many models as possible. You’ll be able to focus your search to models that meet your needs and price range. Use our quote request form to contact up to 5 heating engineers. You’ll receive prices in your inbox in 1 day, all of which are non-binding. You’re free to browse and examine these offers at your own pace. It will save you up to 40% off your purchase.